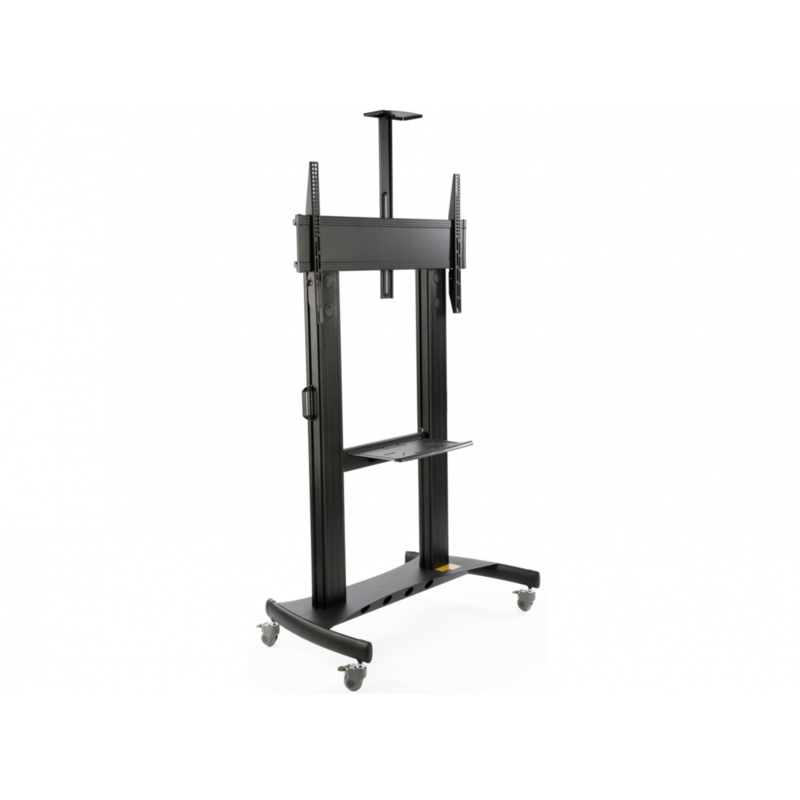 This 80” TV cart is a great option for presentations that require a large display to be moved quickly on and off stage or from one location to the next. Compatible with our 75" and 80" displays. It has a sleek appearance that is certain to blend well with any decor. The cart is easy to maneuver with locking casters for stability when in use. This 80” TV cart is a great option for presentations that require a large display to be moved on and off stage quickly. Compatible with our 75" and 80" displays.